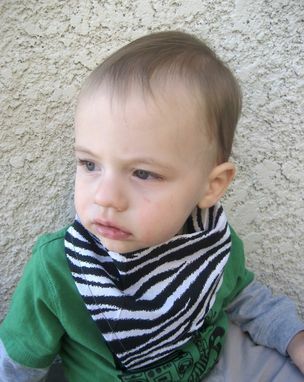 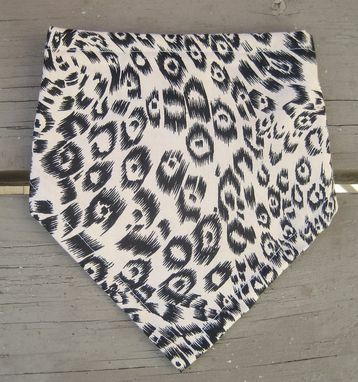 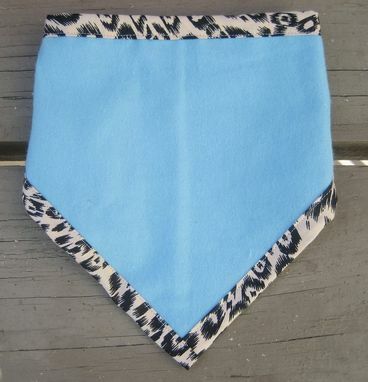 This sassy bandana bib is reversible, with velcro closure for easy on and off. 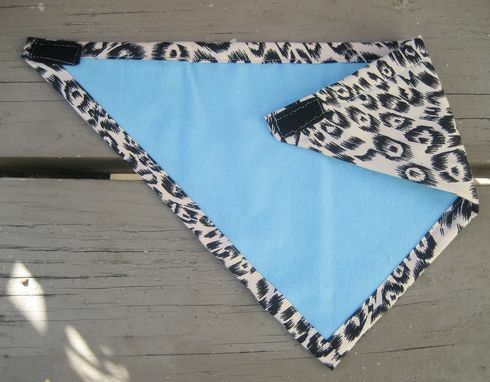 Tan leopard print on one side, solid turquoise blue on the other. 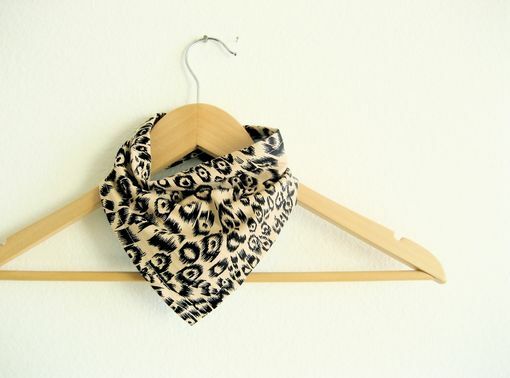 Prints are both cotton cambric.